Moving your workstand is a breeze with the simplicity of this design. To move it, tip it onto the wheels and roll it away! 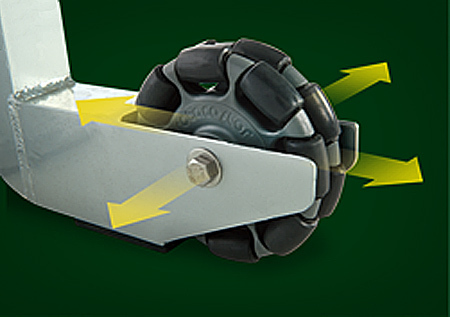 Specially designed side-roll wheels are the key to easy positioning. Roll from side-to-side or front-to-back in order to put the platform exactly where you need it. 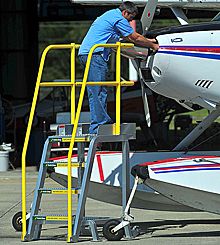 Once in place, tip workstand back to a vertical position and you're ready to work.